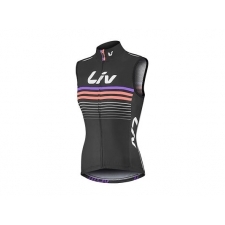 Get the pro cyclist look with the all new Liv Race Day Gilet. Constructed using windproof and water resistant ProTextura fabric to the front and cooling mesh to the rear, Race Day Gilet is perfect for keeping you at just the right temperature and sweat free on cooler riders - and it's lightweight and compact enough to stash in your jersey pocket. Offering a high performance aerodynamic Race Fit cut, Race Day Gilet has a full length zip for quick changes, a single back pocket for keeping essentials handy and reflective detailing for improved visibility in low light conditions. 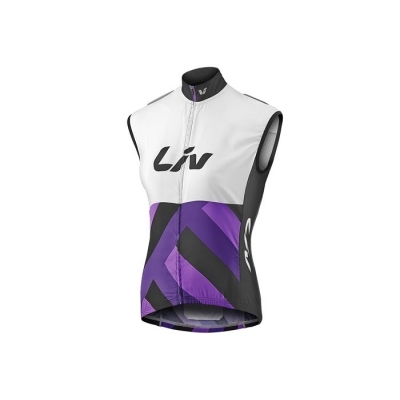 Buy your Liv Race Day Womens Gilet / Wind Vest, 2017, White and Purple from GiantBikeSpares.com.